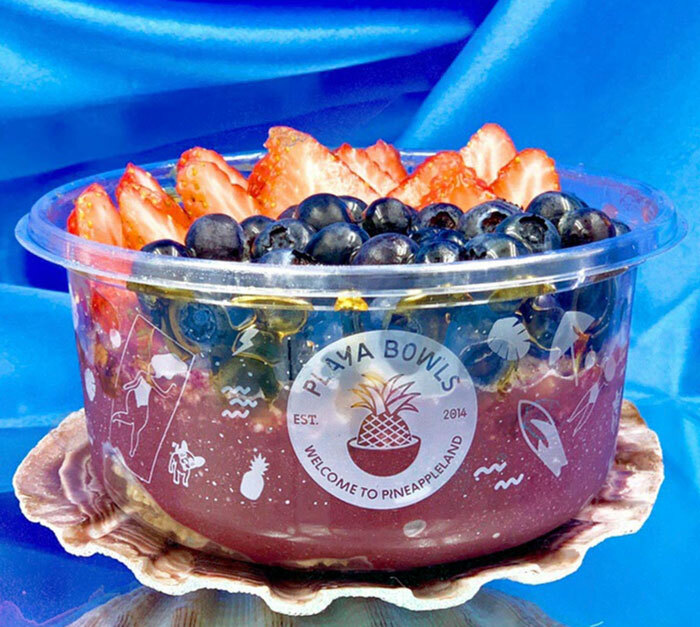 The Playa Bowls concept is the vision of founders Rob Giuliani and Abby Taylor. Both Jersey Shore natives and long time surfers, Abby and Rob were inspired by chasing summer on surf trips to Costa Rica, Puerto Rico, California, Hawaii, Nicaragua and Panama. Almost every exotic surf town they visited offered their own version of an Acai or Pitaya bowl. It was the perfect meal after a long surf that didn't make you feel weighed down. The nutrients give you a natural energy boost and they were instantly hooked on the flavors of these super fruits.